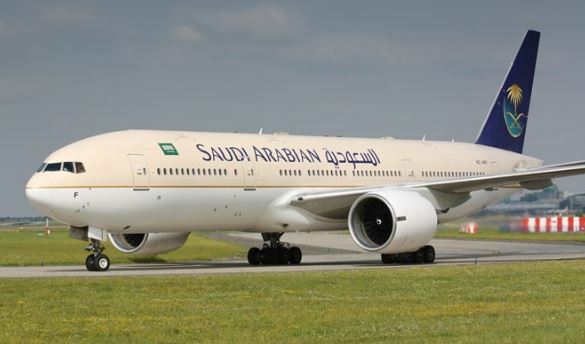 A Saudi court has ordered national carrier Saudi Arabian Airlines (Saudia) to pay a passenger and his family SAR61,617 ($16,431) because their flight from Jeddah to New York was delayed by 21 hours, local media reported. The court handed a copy of the verdict to Saudia. It said the airline had also changed the seat numbers of the passengers on the return flight. The court awarded the passenger compensation for psychological and financial harm he had sustained, in addition to legal expenses. The ruling was issued by a circuit of three judges after hearing the views of both sides. Mohamed Abdullah Al-Shidi, the passenger, expressed his happiness over the court ruling in his favor on Twitter. Many people retweeted his message expressing their happiness and support. Majed Garoub, a lawyer, said the tweet by the passenger proved that Saudi citizens knew their rights and that they were ready to move the courts to obtain the rights. He said the court verdict would oblige all service providers in the government and private sectors to respect the rights of the consumers.